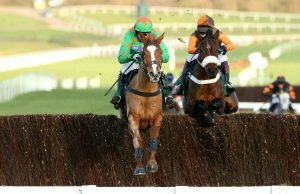 Grand National 2019 betting tips: Will Ms Parfois snap 68-year hoodoo? Grand National 2019 betting: Will Ms Parfois snap 68-year hoodoo? When the talk of female and Grand National feature in the same sentence, this typically revolves around when the first woman jockey will win the Aintree marathon. Bryony Frost and Rachael Blackmore are likely to be two to feature on runners in the 2019 Grand National betting, with Katie Walsh gaining the best result so far for female riders when third aboard Seabass in the 2012 renewal. Many Grand National fans will also have failed to see a single female horse triumph in their lifetime. The last mare to win the Grand National was Nickel Coin in 1951, while the most recent to finish among the standard each-way places was Dubacilla, when coming home fourth in 1995. Will either of these lengthy waits end in 2019? If Ms Parfois makes the Aintree start line, then there’s every possibility. She is currently 33/1 in the 2019 Grand National betting. Can Sean Bowen mark her name down in Grand National history? Listen to enough horse racing commentary, punditry, interviews and analysis and you’ll soon become familiar with the phrase that a horse “stays well and jumps well”. These two attributes are especially essential in the Grand National, where 30 fences need to be cleared over 4m and 514 yards. Noteworthy is that these are two qualities are possessed in abundance by Ms Parfois. Her stamina was proven when second in the 4m National Hunt Chase at the 2018 Cheltenham Festival. She has since finished second again at Aintree, when staying on eye-catchingly late on over a shorter distance. A true marathon test on soft ground seems the ideal contest for Anthony Honeyball’s mare, who has never failed to finish any of her current 15 career starts, with eight of these being chases. The fact that Honeyball had aspirations to run his eight-year-old in the Grade 1 Betfair Chase in November suggests that he regards Ms Parfois as a true top-level player. Her hat-trick of runner-up finishes to close last season all came in Graded races, with the aforementioned Aintree performance being a Grade 1. She currently retains the same official rating of 146 that she held for each of these Graded contests and on each occasion, she was beaten by a rival of a higher rating. However, because these were Graded races, Ms Parfois was running off level weights, minus her gender allowance. As the Grand National is a handicap, she would receive weight from runners rated her superior at Aintree. Ms Parfois (left, Green) wins the 1.55, CF Roberts Electrical & Mechanical Services Mares Handicap Steeple Chase. With her strong performances at both Aintree and Cheltenham in the past year, Ms Parfois clearly has no issues dealing with the demands of left-handed tracks. Furthermore, she has a trio of chase victories in the locker going left-handed, following triumphs at Cheltenham, Warwick and Newbury. 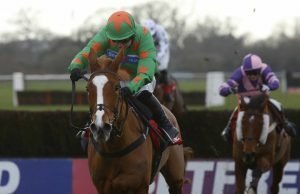 Honeyball was considering running Ms Parfois in the Welsh National last month, but she clearly hadn’t fully gotten over a tough race when sixth in the Ladbrokes Trophy. Maybe, she will now next be seen after the revealing of the 2019 Grand National weights, to ensure she retains her current mark. Based on 2018, a rating of 146 will land her a weight in the ballpark of 10st 9lbs at Aintree. Five of the last six Grand National winners have carried less than 11st to victory over the marathon distance. Click here to create a William Hill account; we’re offering new customers £30 in free bets when you bet £10 on any of this weekend’s racing action.